If you’re heading out on the highways for the Thanksgiving holiday, PennDOT is advising motorists in northcentral Pennsylvania to take extra care when driving in winter weather. Road surfaces, bridge decks and overpasses can be icy. Motorists should drive with caution, slow down and allow for extra travelling distance between vehicles. Motorists should give plow trucks plenty of room to operate. Increase traveling distance when following plow trucks and do not attempt to pass them. PennDOT also reminds people that plowing snow from driveways and side streets onto state roads can create hazards and is not permitted. Motorists can check conditions on more than 40,000 roadway miles, including color-coded winter conditions on 2,000 miles, by visiting www.511PA.com. 511PA, which is free and available 24 hours a day, provides traffic delay warnings, weather forecasts, traffic speed information and access to more than 860 traffic cameras. This past Monday, Nov. 19, marked the start of the nationwide Click It or Ticket “Operation Safe Holiday” enforcement effort, which sees law enforcement nationwide adopt a zero-tolerance approach toward traffic law violations, including driving under the influence. In addition to enforcement efforts, Operation Safe Holiday includes no-cost child passenger safety seat fitting clinics through Dec. 2. Troopers and other state police members certified as child passenger safety technicians will be available to assist with car seat installation and to answer any questions parents have. Pennsylvania law mandates children under the age of 4 be properly restrained in an approved child safety seat. Children under age 2 must be secured in a rear-facing car seat until the child outgrows the maximum weight and height limits designated by the manufacturer. Booster seats are required for children four to eight, to keep them protected in the event of a crash. Last week, Rep. Fred Keller and I had the special honor of recognizing a local veteran who gave up finishing high school in order to serve our country. 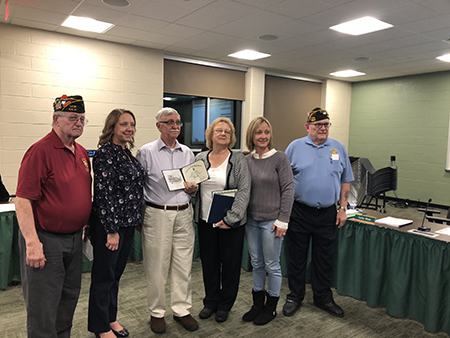 Marlin E. Keister of Selinsgrove was presented with his high school diploma last Thursday at a special ceremony held by the Lewisburg School Board and attended by more than 40 family members and friends. Keister joined the Marines in 1966, when he was a junior. After serving his tour in Okinawa, he joined the Army National Guard, where he spent 12 years. Thank you, Marlin, for making such personal sacrifices to our country and for your ongoing devotion. He is pictured with his family. 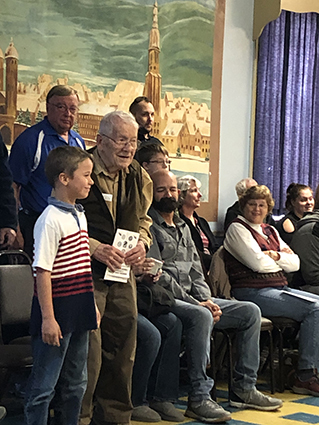 The Sunbury American Legion Post 201 hosted a special Veterans Day program with third-graders at Grace S. Beck Elementary in Sunbury on Nov. 12. 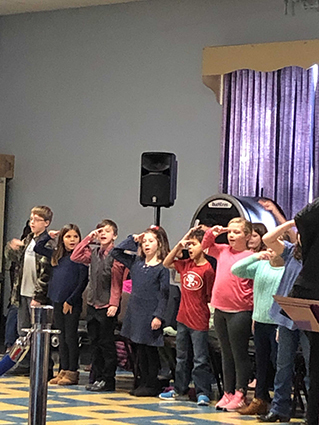 As part of the program third-graders sang patriotic music led by Frank DeLucca and had the opportunity to be partnered and stand with a veteran for their closing song. 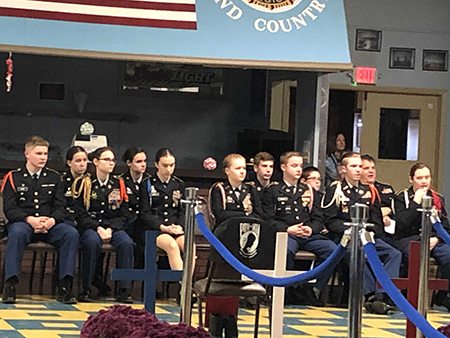 Also participating were the Shikellamy Junior Reserve Officers' Training Corps, members of Post 201, the Veterans of Foreign Wars Post 1532 and the Auxiliaries. I was honored to serve as the special guest speaker. 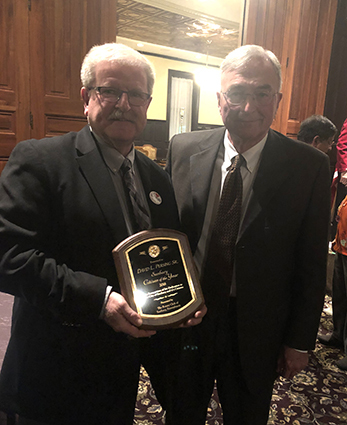 The Rotary Club of Sunbury recently honored David L. Persing Sr. as its Citizen of the Year at its annual awards dinner on Nov. 15. Persing, who is retired from Wood Mode Inc., has long been a strong supporter of the community and its youth. He also served as Sunbury mayor for 24 years. He has been involved with many youth, recreational and service organizations, and has been bestowed with several accolades for his advocacy of the region. In fact, a baseball field was dedicated in his honor in 2002 and the North Fourth Street Complex was renamed for him and dedicated in 2005. He was presented the award by Sunbury Rotarian Tom Boop. 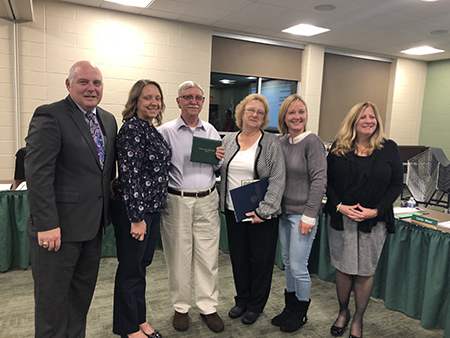 Congratulations to Dave and thank you for your long-lasting service to Sunbury! 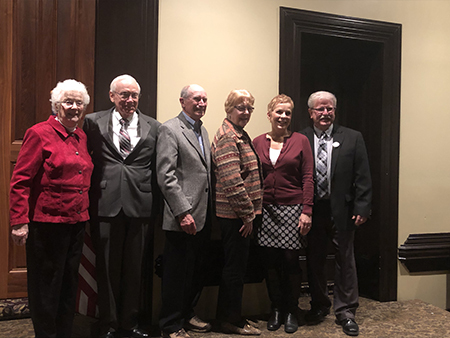 Pictured (from left) are past recipients of the award: Anne Rebuck, John Shipman, John and Ellie Fogarty, Mel Purdy and Dave Persing. 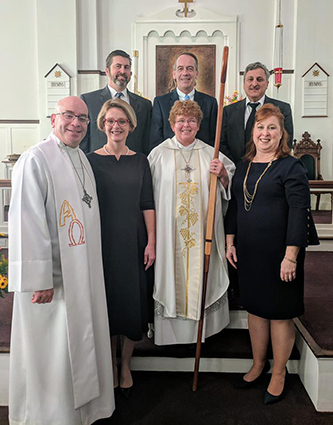 Congratulations to members of the Follmer Lutheran Church for recently celebrating its 225th anniversary. 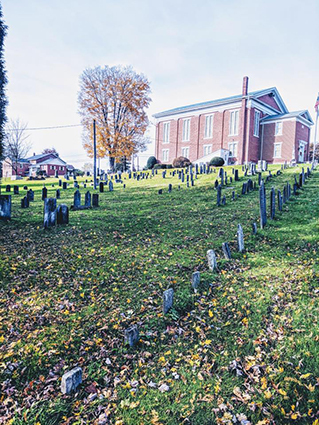 The church was established in 1793 by Michael and John Follmer, who built their family home on the land and was the first family to build a church in this area of Northumberland County. The current red brick structure was built in 1860. It is presently led by the Rev. Thomas M. Glasoe. 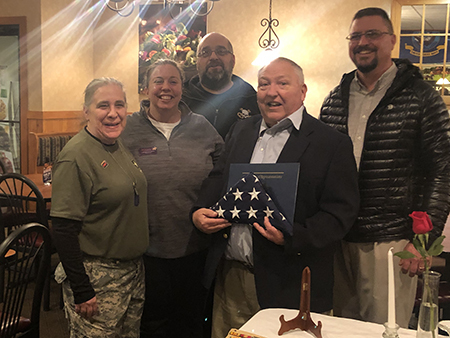 With great sadness but pride, I helped present a U.S. flag that was flown over the Pennsylvania Capitol to the father of Christopher David Hill, a deputy U.S. marshal who was killed in uniform while serving an arrest warrant in Harrisburg earlier this year. 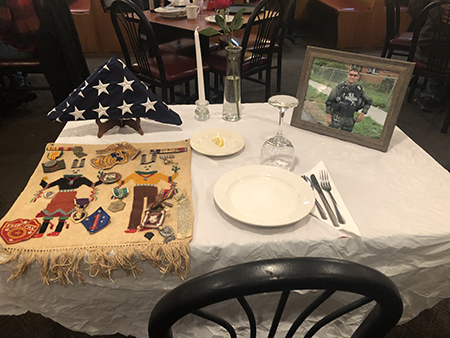 We are forever grateful for Marshal Hill’s service and for his family’s sacrifice. Hill was a native of the area, graduating from Warrior Run High School. The tapestry in the picture was Christopher’s great grandfather’s, who was also a veteran.